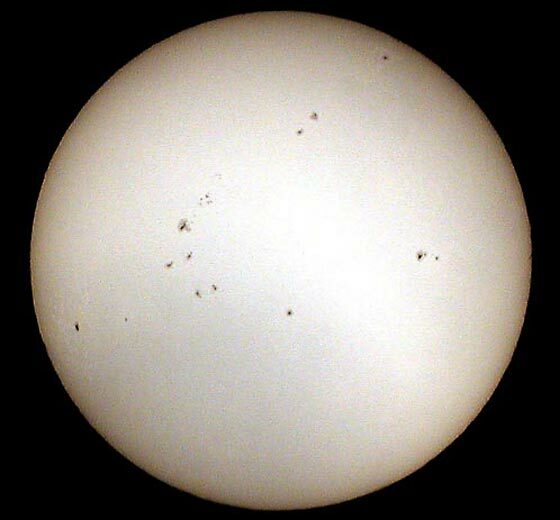 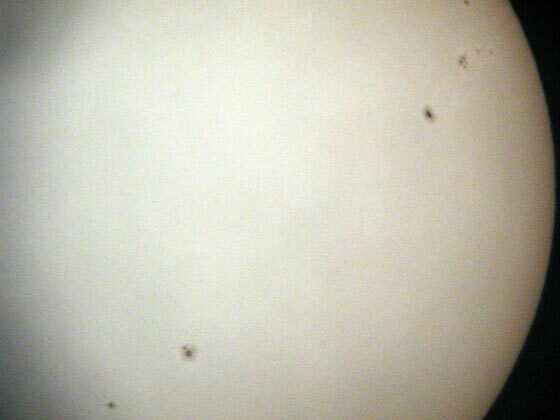 Nearly a week later, fewer sun spots but larger ones could be observed. 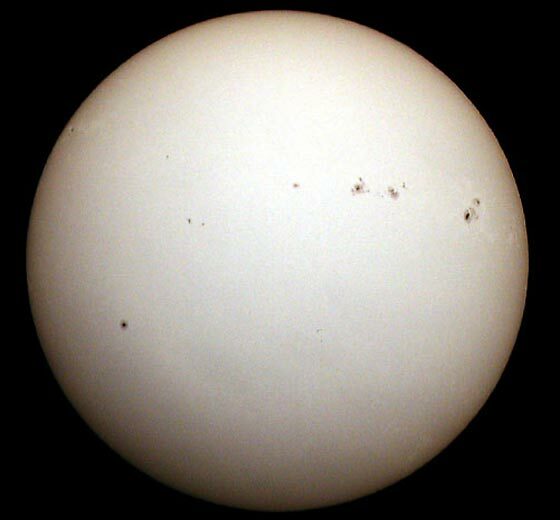 Two weeks later, still fewer sun spots could be observed. 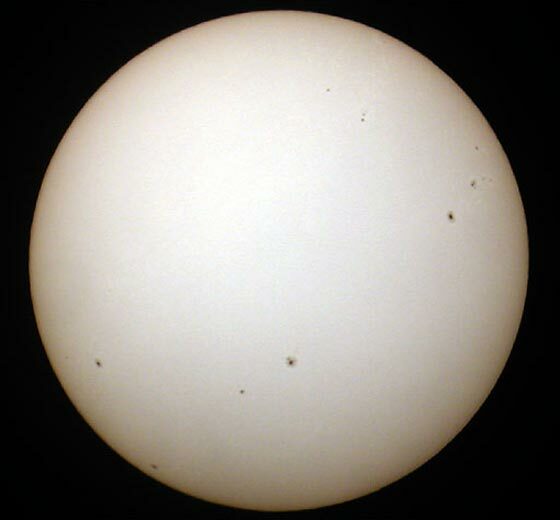 Section taken with the 26mm eyepiece.